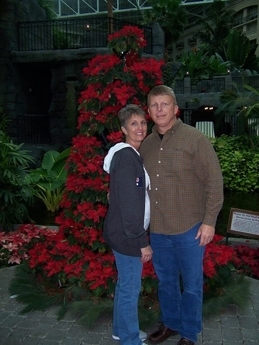 Owners Bob and Nita are the driving force behind our team here at Mr. Appliance of Asheville. Their roots run deep in the appliance industry, with Bob starting his career at a young age working for Dill’s Appliance, which was a local General Electrical Appliance dealer back in the 1980s. Bob spent the next seven years learning the service industry from this position. 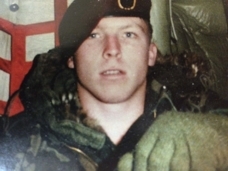 Bob’s life changed forever in 1985 when he followed God’s pull and joined the Army as an Airborne Infantryman. He spent the next two years falling under the command of then Captain Mike Ferriter—he recently retired as a 4 Star General. In 1987, Bob was honorably discharged due to an injury to his back. He soon returned to Dill’s Appliance, jumping right back into the industry even though the company had new owners. Bob quickly realized that the new owners weren’t cut out for the appliance industry. Shortly thereafter, the owners decided to close the doors and give Bob the chance to take their inventory, equipment, parts, phone numbers, and other resources—all completely free of charge. Suddenly, Bob found himself with a lot of new work and responsibilities on his shoulders. This didn’t slow him down, however. He opened up his small shop, called “One Stop Home Appliance Center,” and began selling appliances new and old and servicing a variety of different appliances. Nita soon left her parents pest control company, where she had managed their 13-truck operation for numerous years, to join Bob at his appliance store. In 1991, Maytag approached the Tuck’s at a business conference and asked them to join the Maytag Home Appliance Center team. By the summer of 1992, they had opened a much larger storefront under this name and successfully operated it for the next 10 years. The duo was recognized with many awards by Maytag for their success. 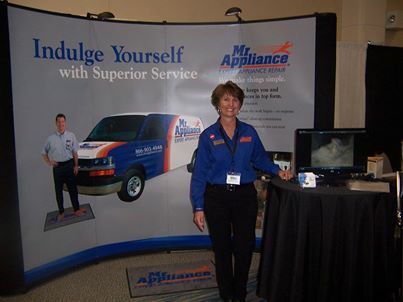 In 2004, with Maytag heading a different direction, Bob and Nita began looking for other options and stumbled upon Mr. Appliance. Bob dragged Nita to visit their corporate headquarters with him for the second time and it quickly became clear that this would be a great fit. 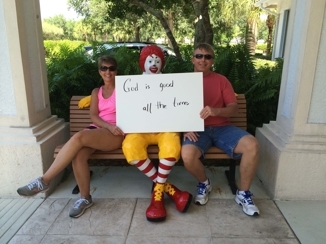 Bob and Nita both loved the character and Code of Values that Mr. Appliance stood for. August 13th, 2004, Hurricane Charley made landfall, destroying their Maytag store completely except for Nita’s office. 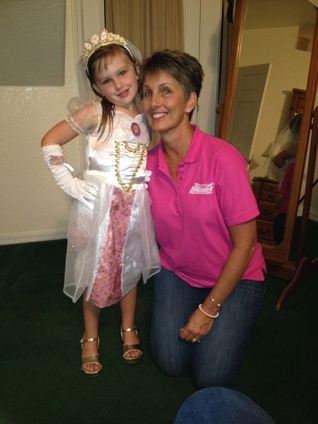 This sped up their exit plan, but showed them all the more that God had bigger plans for them. With a phone call from Mr. Appliance informing them that support would be poured into their community and given to their family, the Tuck’s decision was solidified in their minds. 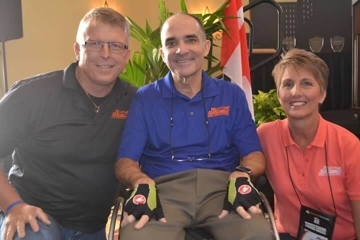 This tragic day turned into a blessing for the Tuck’s, marking their journey as a flourishing Mr. Appliance and restoring their ability to reinvest in their community. 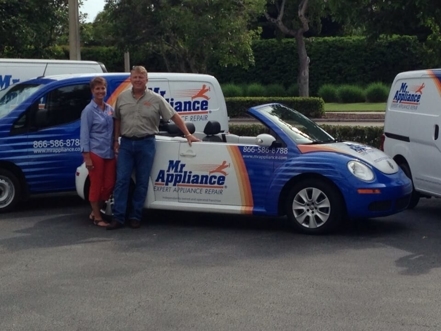 Bob and Nita know that Mr. Appliance of Asheville stands out from the rest. The image that their team communicates throughout the local community plays a huge role in their new customers’ decision to choose them for service. They also know that word of mouth is one of the main factors that helps them generate additional business, demonstrating the need to maintain excellent customer service on every job. Their consistent image and level of service truly make them unique in the appliance industry. The Tuck’s take pride in maintaining personal values of courage, honesty, and faith. They see no place for “little white lies” in business, always being transparent with customers and having faith that this honesty will bring them back for years to come. They know that as with any professional service, their company may fall short of customer expectations from time to time. The most rewarding part of the job for Bob and Rita is watching their team grow. Bob gets up every morning knowing he will have the opportunity to help his employees live happier, healthier lives. The Tuck’s value the awards they have been given for excellence in leadership and mentoring above any other awards and see the conversations they have with other struggling business owners in need of advice and encouragement as the most rewarding moments. This is just a small example of the level of commitment and care that the Tuck’s bring to Mr. Appliance of Asheville. Their leadership, dedication, and courageous faith in the team has led to many great successes in service and will continue to help the company impact lives throughout the community.